Content marketing is the undisputed king of digital marketing. Perhaps you’ve heard the above, or something like “content is king” said by everyone that is someone in the digital marketing world. Why is there such a focus on content marketing? Chances are when you hear the fabled words, the first thing that pops in mind is blog posts. Second, social media posts. Truth be told, it’s so much more than that. In fact, content marketing has been around for as long as humanity has. We know, mind – blown. But, when you think about it, it’s pretty simple. Every content that’s used to promote something is a type of content marketing. 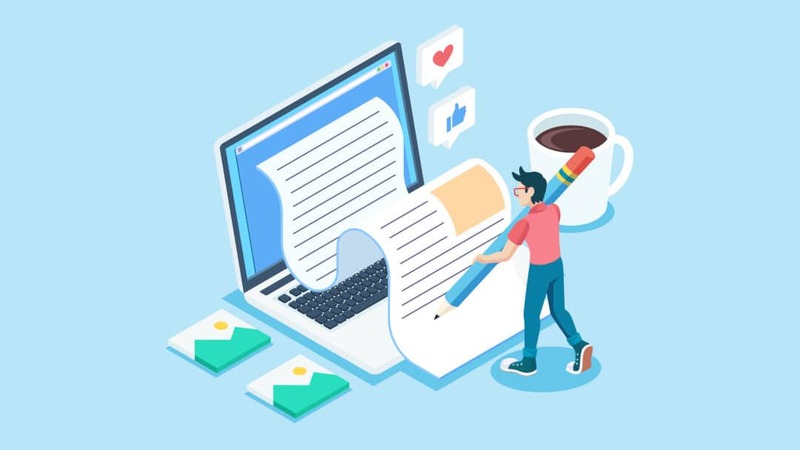 "Content marketing is a strategic marketing approach focused on creating and distributing valuable, relevant, and consistent content to attract and retain a clearly defined audience – and, ultimately, to drive profitable customer action"
Now, you can take this definition and replace customer with citizen. The result is political propaganda. However, that’s a topic for another time. Let’s get back on promotional content. Here’s a look at how content was used for promotion throughout history. The first “true” content marketing effort was back in 1732. Benjamin Franklin (yes, exactly who you’re thinking of) published Poor Richard’s Almanack. The goal of this effort was to promote his printing business. But, 1732 isn’t when content marketing actually started. Farthest content marketing effort that we could find is coming from Pompeii, back in 35 AD. You see, there was a guy named Umbricius Scauras who was a fish sauce manufacturer. He decorated his house with mosaics depicting bottles with his sauce. And, guess what he did? Looks familiar? Dude sure knew what he’s doing. Okay, so we know content marketing goes way back. Before we get into how you to use content marketing, we want to share a few more examples from the late 19th and early 20th century. Back in 1895, the agricultural tool manufacturing giant started publishing a magazine. They named it “The Furrow”. The attempt was to educate farmers on how to go about their crop management. The best part was the magazine was published with the purpose to educate, not to promote. John Deere wanted to set themselves as an authority in the agricultural sphere by helping farmers do better. Needless to say, it did far more than just educate. 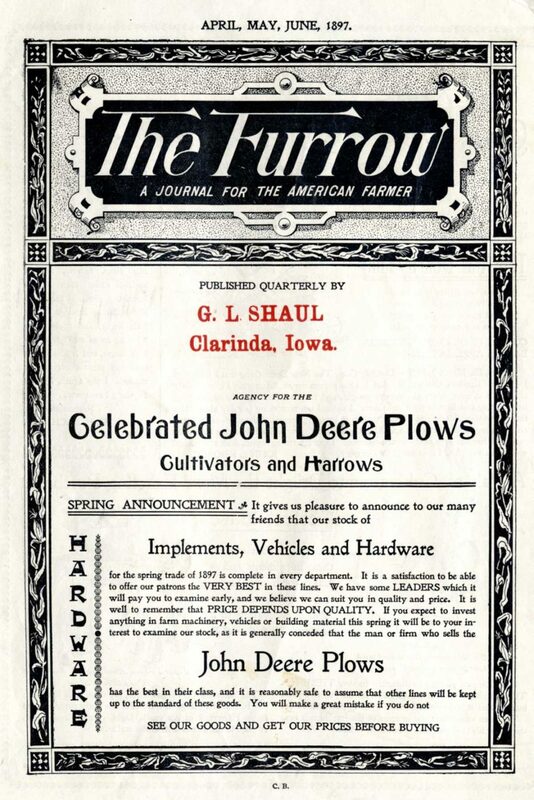 “The Furrow” was an ingenious approach at marketing. It gave value to farmers while spreading brand awareness. Side note: The magazine is running even today, and you can read it in 12 different languages. Back in 1900, the tire manufacturer Michelin created a 400-page guide dedicated to car owners. It gave advice on how to take care of vehicles and tire maintenance. The ingenious part was Michelin encouraging people to drive more. As opposed to alternative travel methods, this was a weird decision. It’s importance was in its implications. More time spent driving meant more tire wear, and this meant more tire purchases. The year is 1904, and certain F. Woodward, the owner of Jell’O, was struggling to keep the business running. So, he came up with the idea to publish recipes that contained Jell’O as an ingredient. People used them en masse, and the rest is history. By now, you realized that content marketing works. The truth is, content was, is, and will be the core of marketing. Marketing is all about giving value to the customer. The only way to give value before customers convert is with great content. If you recall the definition by the content marketing institute, you get the idea how it works. Funnily enough, most businesses got it wrong. What they do wrong is they ignore the providing valuable content part, and they spam the hell out of people. Needless to say, people got tired of this. At the end of the day, customers didn’t lose. The businesses that got it wrong did. As is stated in every marketing guide, you must include content marketing in every marketing effort. But not just any content. You must create exceptional content. We’ll in fact say that isn’t enough either. You must create exceptional content that’s better than your competitors. Why? Because content is a part of all marketing practices. -Email marketing – great content is the base of an email campaign. So, content comes before the email campaign launch. -SEO and PPC – Search engines love quality content. For SEO, you’ll be rewarded for great content, and for PPC your quality score will increase. -Marketing Strategies – Every marketing strategy for any channel includes content marketing as a part of the strategy. So, content marketing is great. But is it right for your business? Is it old news? Isn’t content marketing as a practice overused, and your time and money should be spent elsewhere? Let’s take a look at some recent data. It says that quality content is now more valuable than ever before. In the past, there were some gray areas marketers abused to get results without quality content. But, nowadays, marketing platforms, especially Google, have increased their measures against such actions. They use strict penalties to anyone brave enough to try playing the system. Content creation budget increases aren’t only the case with B2C content marketing. 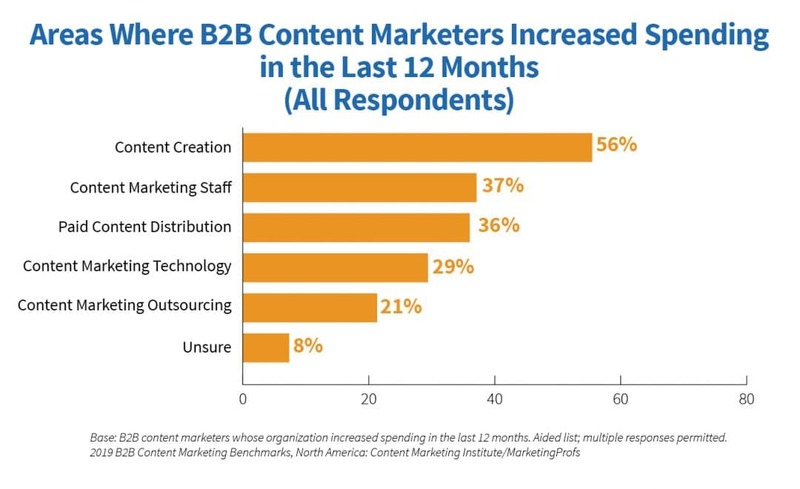 The majority of B2B content marketers did the same. Judging from the data, giving your customers value is the newest battlefield between industry giants. It’s obvious, multi-million companies have all their processes optimized. The only difference between them is the customer experience they provide. Everyone and their mother are jumping on the content marketing bandwagon. And, they aren’t cutting line through shady practices. The meaning is simple, content is the backbone of marketing. You must get your content marketing strategy right. Meaning no content for the sake of creating content, but creating quality content. As we said, nowadays everyone does content marketing. It’s a competitive ground, and only a chosen few (or those that do it right) manage to get results out of it. Let’s put other channels aside. When it comes to search engine marketing, the sad reality is that there are that many spots on the first page. It’s extremely hard to get to the first page, especially for a competitive keyword. But, before you click that close tab button, content marketing is not something you can afford not to do. You must do it. When was the last time a new visitor to your page converted during the first visit? How many percents actually convert during the first visit? Let us save you the trouble of going through your analytics tools. The answer is less than 2%. If you think 2% is great and all, we’re sorry to say, but you’re doing marketing wrong. Every marketer should strive to have more conversions! Yes, the good old marketing funnel. Did you know you can apply it to content marketing? There’s a term called content mapping. What it means is, through market research and analysis, you find out your audience’s interests. One of the ways to do this is by following social media trends. Follow how your target audience responds to these in posts and comments. Then, you can create content that will lead them through each step of the funnel. You’ll do this by creating a content marketing funnel. Such a funnel categorizes the type of content for each step of the traditional funnel. The traditional marketing funnel starts with people getting to know your brand (the awareness stage). Then, you turn those leads (still a part of the awareness stage). Then, into potential customers (or consideration stage). And then, finally into customers (or sales stage). How Does This Affect the Content Marketing Sales Funnel? 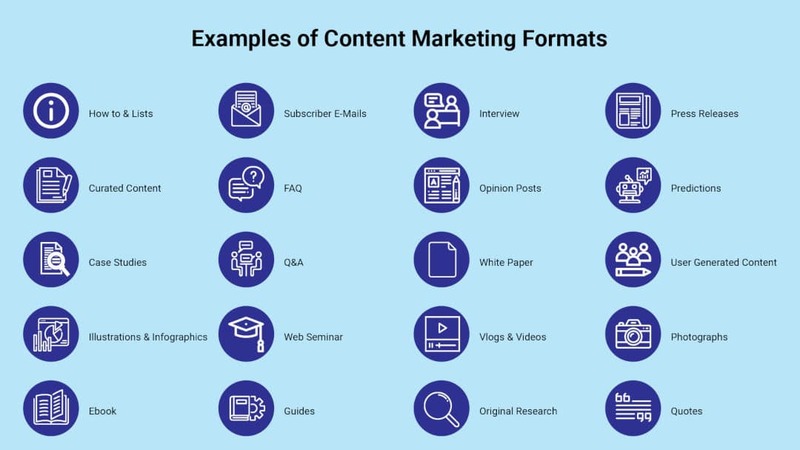 Now, to create a content marketing funnel following the above template. The awareness stage requires you to provide informational content. This can be anything, from blog posts, Ebooks, videos, to interviews. Next is the second step of the content marketing funnel. The parallel to the consideration stage. It includes content like remarketing via email, retargeting via Google Ads, customer support, and so on. The final step is turning them into buying customers. It includes sending direct promotions, creating easy to use sign-up forms, and so on. All fine and dandy, but is it measurable? The sad reality is you got no way to measure how a buying customer has gained trust for your brand. Yes, you can have the ROIs, the CTRs, and the CPAs. But are they really showing that your content marketing strategy works? Hardly. Does content marketing work? Most definitely yes. Let that paradox sink in. While most marketers at this step go along to create a buyer’s persona, it’s tricky. From a marketer’s perspective, it’s ideal to shove all those individuals under a single archetype. Might’ve worked in the past, but not anymore. Remember what we said before, the customer experience is all that matters at the moment. This means that you need to pay special attention to each customer. You must treat them as the individual they actually are. Yes, a buyer persona can be helpful, but don’t let it limit your marketing efforts. Instead, put more focus on providing the best customer experience. This means prompt answers to queries, whether it be on social media, via email, or direct contact. Remember, almost all customers will cut any ties with your business after one terrible customer experience. Negative opinions spread like wildfire on the internet. And only one terrible customer experience can be detrimental for your business. You must guide and nurture your leads throughout the whole customer journey. You must give an exceptional customer experience with every interaction with your brand. So, let’s look at every stage of the content marketing funnel. Here’s how to create a great customer experience for each with quality content. This is content for the awareness stage. It’s basically throwing a lure in the sea and see what’ll hook. This is the most important part of the customer journey because here’s where you get the majority of customers that will buy from you. as these customers aren’t ready to buy just yet. Chances are they haven’t even heard of you. The challenge is to change them from denier to believer all by yourself. The initial approach is to educate them about your business. This includes what you do, and how you do it better than the thousands of other businesses in the market. 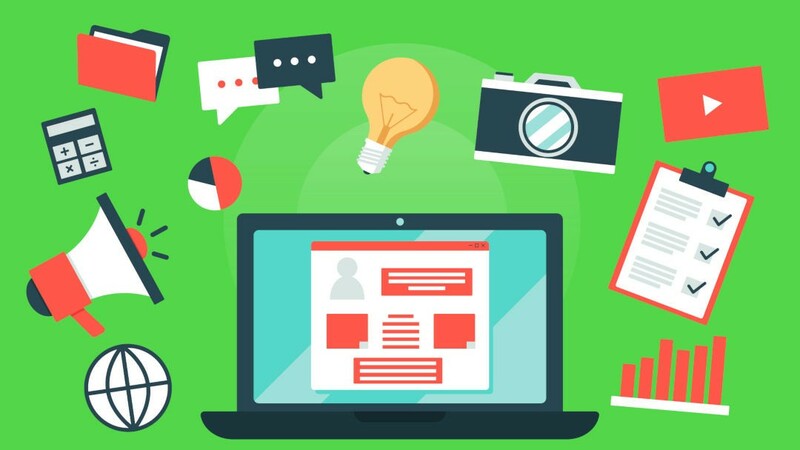 How to Build Brand Awareness With Content? There are many ways you can take, from paid advertising to SEO. Each has its strong side and many weak sides. PPC and the other ways of paid advertising are pretty clear cut. Not that you can afford to have mediocre content in your ads, but we digress. In our opinion, SEO is the best way to build brand awareness. Because SEO takes hard work to give results. It’s the opposite of paid advertising, in which the one with the deepest pockets wins. This means once you get to the first page on SERPs without the help of black-hat sorcery, you’ll stay there for good. To prove a point, when was the last time you clicked anything past the first 3-4 results in Google? (outside the paid advertisements section) Can’t remember? This is the power SEO has for building brand awareness. The first page on search results contains the best of the best answers to a given search query. You must be aware of how people use Google. And, you know how many of those people ignore paid ads completely. The most important fact is that people never search once and get what they need. When in need of something, they search lots of queries until they get what they need. So, if you show on the top of the first page of every related query, be sure they’ll notice your brand. At the awareness stage, most people don’t know what they’re looking for exactly, so they’ll search a broad match query. This means their search is a keyword that has a huge search volume and enormous difficulty. Don’t get discouraged though. With a smart SEO strategy, snatching one of these bad boy keywords is great. It means your brand credibility will go through the roof. What Happens Once They Click on that Result? One of two things really, either they are met by quality content or they aren’t. Side note: if you don’t have quality content, you won’t rank high in search results in the first place. If you manage to get a high position through shady practices, the high bounce rates will kill you. Due to lack of quality content, you won’t keep the position for long. How to Measure the Quality of Content? There isn’t a tool or metric that points out if your content is good or not. Having said that, you can still measure this. By following the audience’s behavior on your website. Looking at the numbers in any analytics tool, like Google Analytics, will show the behavior for each page on your website. From these numbers, you can deduce whether a page is good or not. For example, a clear sign for a page that needs work is high bounce rate. This isn’t a practice to measure what works. It’s a practice of finding best practices to do content marketing for your target audience. What works good needs improvement, what works terrible needs an overhaul. SEO isn’t the be-all and end-all for brand awareness. Yes, it’s synonymous with content marketing. Yes, it’s considered the most credible way to increase brand trust. Yet, there are other ways. Enter social media content marketing. 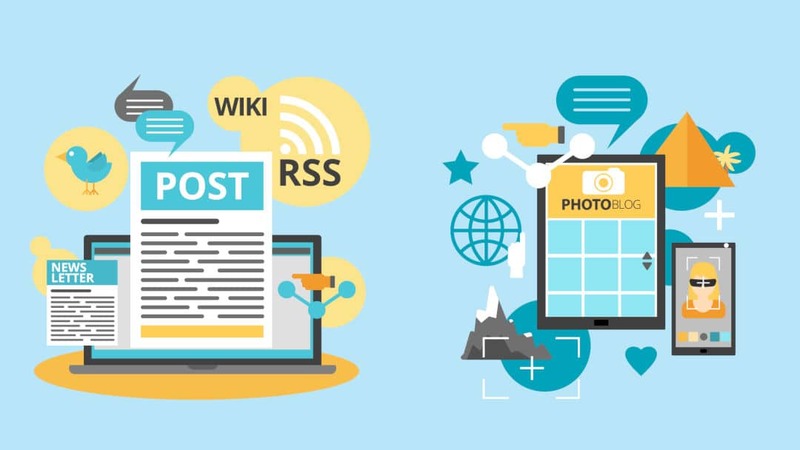 Why Use Content Marketing on Social Media? Statista shows that, in the US, 77% of the population uses social media. The same source gives the following information too. The above shows that people religiously use social media. Therefore, it’s an opportunity to give valuable content to your customers. This is even more so if you post several times a week. The catch is that people don’t go on social media to read your promotional content. Hell, even subscription messaging, a Facebook feature that allows you to send out direct messages to people that liked or followed your page, is strictly limited to non-promotional content only. To even be able to use the feature, you must apply for it and get your subscription messaging approved. Social media content marketing is all about spreading brand awareness. And, you need to adapt to the platform. This means you should entertain first, and have business goals second. If you do it right, building awareness via social media will improve your brand visibility. So, answer customer questions in the comments, answer to direct messages, and so on. If you show them that you care, they’ll accept your promotional content when the time comes for that step with arms spread widely. At the end of the day, the primary purpose of having a social media presence is to tailor content that would build brand visibility. It’s not to promote or sell. Another way to spread brand awareness is via paid advertising. Or, to be more precise, lead generation campaigns. You see, you can create paid marketing campaigns that target people that are looking for a product or service like what you offer. but don’t know you exist as an option for their problem. With targeted PPC, you can change this. Google Ads is excellent at lead generation. As the writing of this post, Google takes almost 90% of the search engine market. So, be assured that when you are creating lead generation campaigns in Ads, no matter the targeting settings, you’ll reach vast numbers of people. Throwing your product and/or service as an option will put these potential customers right at the awareness stage with your brand. Just make sure not to point people from lead generation campaigns directly to a product pricing page. Remember, at this stage, you must build trust. Not shove your product down people’s throat. Direct traffic to pages related to the searches containing content that’s informative. Content marketing is awesome when it comes to making people realize you exist. But, what about when it comes to making those “enlightened” people actually convert? Yeah, content marketing is awesome for that too. Still, don’t get overconfident by brand awareness giving excellent results. If you develop content for the awareness stage only, that’s what you’ll get. You’ll get people knowing about your business but not converting. An even worse mistake is jumping straight to the final stage. Bombarding them with promotional content while they aren’t ready to receive it is bad. This is an attempt made by many, and none of them worked. So, What Type of Content Works for The Consideration Stage? After the awareness stage, you must try even harder. During the second stage of the funnel, the consideration stage, you’re building trust with your target audience. So, the real question is: What to do? 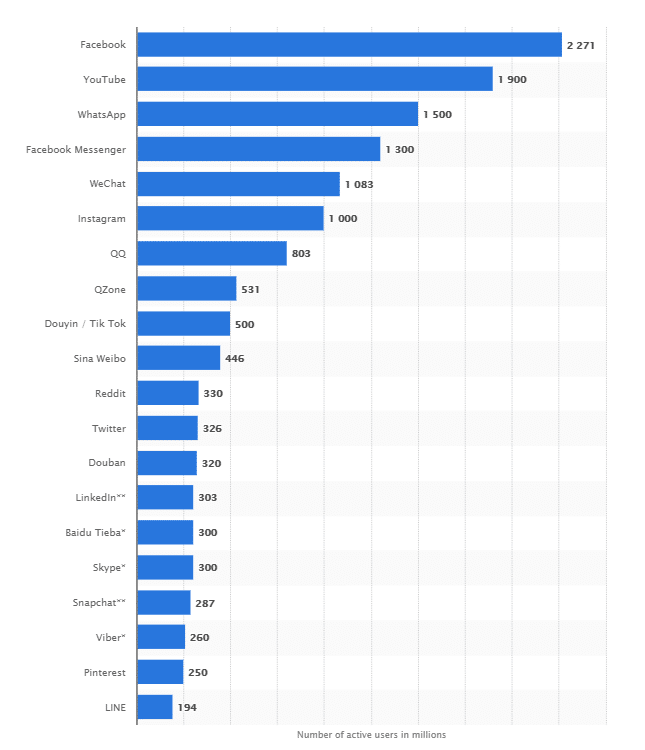 This is where email subscriptions come into play. As we said, by now you’ve got the attention of the target audience. Now you must earn their trust. Start by creating a newsletter that will inform subscribers of latest posts and news. To do this, you need to create a profile of customer interests that are matching your products. If you’re selling both motorbikes and cars, you want to send customers interested in motorbikes content about motorbikes. Not about cars. The easiest way to do this is to create a little quiz. The purpose of it is to provide you with the data of what type of content to put in the newsletter. Now, this quiz will point out the motorbike lovers group before they give you their email. Yes, there are other ways to go about it. But, this example works flawlessly. Considering they’re past the awareness and entering the consideration stage that is. If you create a questionnaire that gives value to the customer, most of them will take the time to complete it. Remember, keep it short and sweet. Nobody likes filling an endless form of questions. In your Analytics tools, there’s a tab that displays the number of returning visitors. These are the people that have given enough value to your brand to return to the website. Some of them have given you their email address too, which we covered above. Now, you can show a special kind of attention, besides blogging informative content and sending newsletters about it. We’re talking about Ebooks. Ebooks Are Kind of a Big Deal! The digital market is over-saturated with blog posts. Ebooks are a somewhat newer approach. They give something of value to your target audience that’s not a blog. The Ebook format gives you leverage to write about a certain topic in much greater detail, without risking to bore your audience. Consider this, if you put the same content of an Ebook in a blog post, nobody will read the whole thing. But most of them will read the Ebook. Just food for thought. Remember, give your opinions, that’s what separates you from the rest. But, be sure you know what you’re talking about. This means thorough research, statistics, case studies – cold, hard facts. Nothing turns customers away from a brand more than spouting nonsense that you can’t back up. Yes, we’ve covered SEO in the awareness stage. But, that’s not where the practice stops. SEO is even better at the consideration stage! We kid you not. For awareness stage SEO, you are using seed keywords. For consideration stage SEO, you are using long-tail LSI (latent semantic indexing) keywords. What’s the difference between seed and LSI longtail keywords? Seed keywords: These are the keywords contained in every long-tail keyword. They are the “root” of the keyword “stem” to use a more lexicological approach. Long-tail LSI keywords: These are the keywords that are formed by combining the seed keyword and one or more extra words. Anyway, that’s the technical mumbo-jumbo. What’s important is that long-tail keywords are with much higher intent than seed keywords. Yes, the seed keyword has way more searches per month. But it also includes audiences that are searching for something completely different than what you offer. The best part about long tail keywords is that you can insert them in your posts and rank for multiple with one page. These keywords are much less competitive than seed keywords. So, if you align your content marketing strategy to include long-tail LSI variants, you’ll rank for the LSI variants first. And, eventually for the seed keyword if you’re lucky. Finally, we’ve come to every marketer’s favorite part – conversions. Except for that 2% that convert during the first visit, this is where all the signs you’ve put on the road of the customer’s journey have been pointing to. This is where people make the final decision. To buy, or not to buy, that’s the question! But, don’t just wait for people to buy from you. You can always boost your numbers even more. At this stage, you fine-tune your content to get even more conversions. And, here’s where you target those extremely long LSI keywords that are with the highest intent. All the marketing efforts so far have been all about giving. Giving quality content that is. Now, finally, it’s the part about you taking what you deserve following that hard work. So, time to fire-up those retargeting and remarketing promotions. But, don’t forget to optimize them! How does the Fine-Tuning Process Work? After you get a steady income of conversions, you can start A/B tests. Don’t get us wrong, you should split test in all steps of the funnel, especially with PPC. Pro tip: A/B test keywords in PPC and then use the best-performing ones for SEO. But, PPC isn’t the only place you can do A/B tests. You can A/B test sale forms, call to action buttons, button placements, and more. Google Optimize is a very powerful tool. Based on Google Analytics, it enables you to test different versions of your webpage and see what sticks with your audience. With it, you can split-test SEO content, which previously was done by using PPC only. Still, if you want instant results, you should consider combining Optimize with PPC A/B tests. 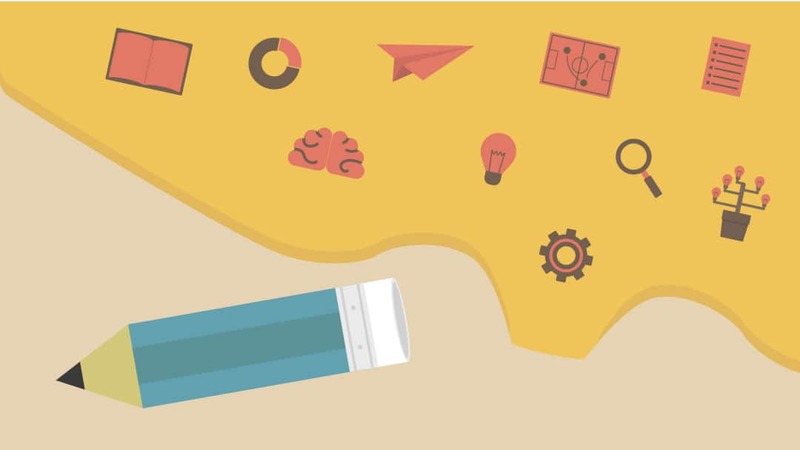 Although this was a long post, we hope it gives you pointers improve your marketing strategy. Even with its length, this post is just scratching the surface. We can go into further detail about every point made here, and we most definitely will in the future. The key takeaway here is you should build a content marketing strategy for every marketing channel. Use a funnel-like approach for the greatest results. Don’t be afraid to join your marketing efforts to work toward the same goal. In fact, we strongly encourage you to do so. Content marketing is the prime example of why you should do this. You must tell your story by giving value to the target audience through every channel. After you’ve gained their trust, those that are to buy a product or service that you offer will do the conversion with you. Not with your competitor. Telling a story to get people’s attention has worked for centuries. Although an ancient concept, it’s still worth your time and money even today. Whatever your next step might be, remember: Content is the king of digital marketing!